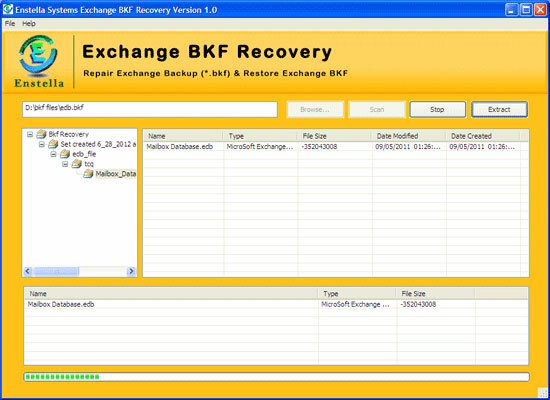 Get quick Exchange BKF Recovery solution at Enstella systems and recover Exchange backup files in safe mode. Enstella exchange backup recovery tool is especially made for read Exchange backup files and restore Exchange backup in exact manner. BKF Exchange recovery tool efficiently repair Exchange backup store and extract exchange BKF (Priv1.edb, Pub1.edb, Log and STM files).